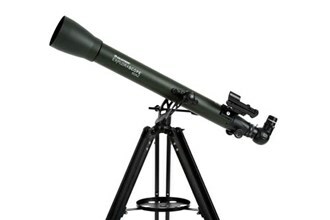 The Celestron 22105 is a special edition NATIONAL PARK FOUNDATION EXPLORASCOPE 60 AZ. It is a full size telescope which has fully coated glass lenses. This gives bright and sharp views of the Moon, rings of Saturn, moons of Jupiter, Orion Nebula, deep sky objects and many more. Red dot StarPointer finderscope is included for getting sight of objects in sky centered at the eyepiece. The ExploraScope 60 AZ has a simple construction. There are 2 eyepieces, a 3x Barlow lens to triple the magnifying power of each eyepiece, an erect image diagonal for correct image orientation, a full-height aluminum tripod, LED flashlight, and compass included in it. Celestron’s SkyPortal app for iOS and Android devices can be downloaded for locating and learning celestial objects. The Celestron National Park Foundation Explorascope 60AZ has many exciting features for users of all types. You can extend the lifetime of your Celestron National Park Foundation Explorascope 60AZ with the purchase of a FactoryOutletStore Factory Protection Plan. 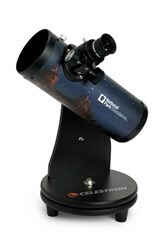 See the Celestron National Park Foundation Explorascope 60AZ gallery images above for more product views. 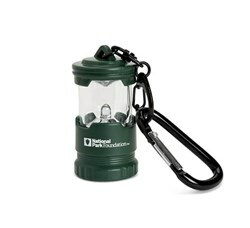 FactoryOutletStore stocks a full line of accessories like Firstscope and Keychain LED Lantern for the Celestron National Park Foundation Explorascope 60AZ. The Celestron National Park Foundation Explorascope 60AZ is sold as a Brand New Unopened Item.